If I told you that you could enjoy 1-for-1 deals at your favourite restaurant, bar or cafe for as low as S$5.75 per month, would you believe me? Let me just set this disclaimer upfront: This isn’t a scam. It’s the magic of Burpple Beyond. Personally, I’ve subscribed to Burpple Beyond and trust me, it’s worth it. Sometimes I kick myself wondering how I could’ve ever paid the full bill at a particular restaurant when I could’ve gotten a 1-for-1 deal there instead. The mechanics of Burpple Beyond is simple: Choose between a Monthly (S$9.90/month) or Annual (S$69/year, which works out to S$5.75/month) membership. Then, dine at any one of the 400 partner restaurants. While ordering any of its eligible dishes, inform its staff that you’ll be using a Beyond deal, which allows you to enjoy one deal per two diners. When asking for the bill, open your app and swipe to redeem the deal with staff present. Here’s our list of 10 restaurants with the best deals on Burpple Beyond for you to kickstart your Beyond foodie journey. Unlimited wagyu beef, sashimi, drinks and Ben & Jerry’s ice cream for just S$57.40 per person? Yes please! 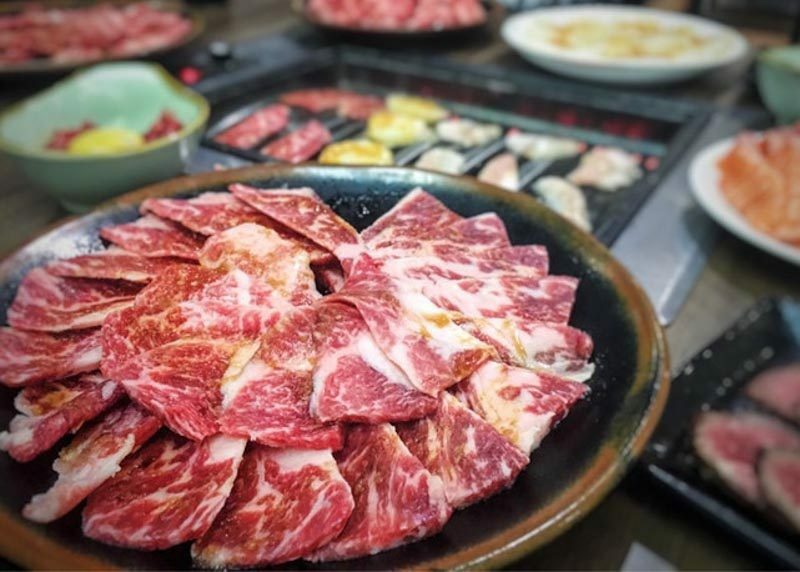 While Tenkaichi Yakiniku Restaurant‘s Premium BBQ Buffet is originally priced at S$114.80, save up to S$114.80 with this Burpple Beyond 1-for-1 deal and enjoy as much wagyu beef as you want, from whichever cut you prefer. Whether it’s wagyu beef ox tongue, wagyu beef short rib, marinated wagyu beef with egg yolk, or even its wagyu beef ribeye cap, you can grill tender and juicy premium-grade wagyu to your heart’s desire. Be sure to give its black pork belly and Hokkaido jumbo oyster a try while you’re there! Elevate date night with a classy seven-course dinner at Fat Belly with its exclusively crafted set menu. While a menu like this would cost you S$78+ per person, Burpple Beyond’s 1-for-1 deal means paying only S$39+ per person! From luxurious crème brûlées topped with foie gras and coral tuile, to indulgent mini burgers using ground wagyu and sharp gouda, a seven-course dinner at this local steakhouse isn’t complete without its signature wagyu beef. 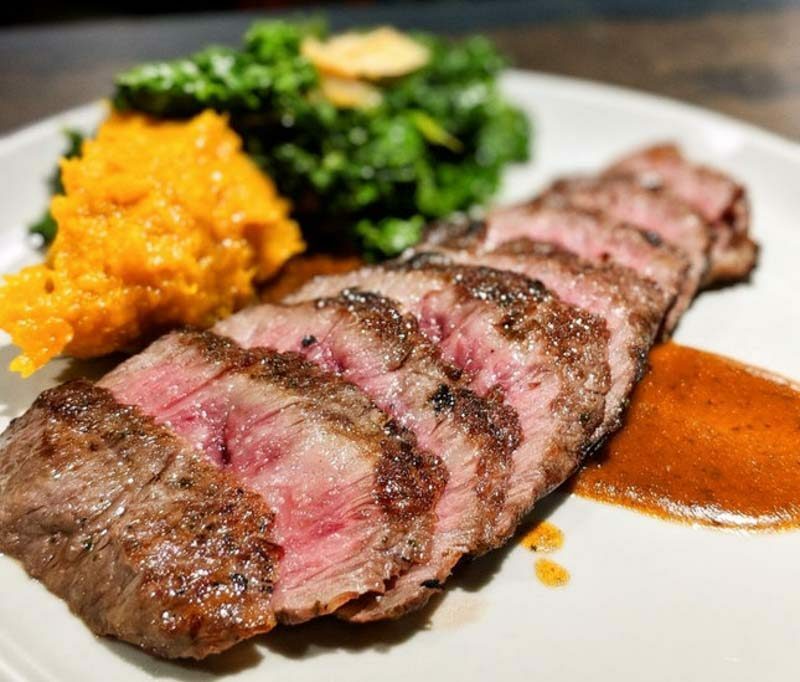 Served with a sweet pumpkin puree, aromatic garlic kale and toasted almonds, this tri-tip steak has a marble score of seven to eight. It literally melts in your mouth and promises to leave you wanting more. As its name suggests, Firebake – Woodfired Bakehouse & Restaurant prides itself on its sourdough bread that’s house-made using traditional European methods. They use Nordaq fresh water and flour that’s milled onsite and bake it inside a full-scale woodfire bread oven that’s hand-built from 37 tonnes of 5,000 bricks. Impressive, eh? While its signature bread isn’t available on the Burpple Beyond menu, you can pick between four of its equally delicious bestseller mains, such as Seafood Saffron Risotto (S$28) or Mediterranean Seabass (S$26). 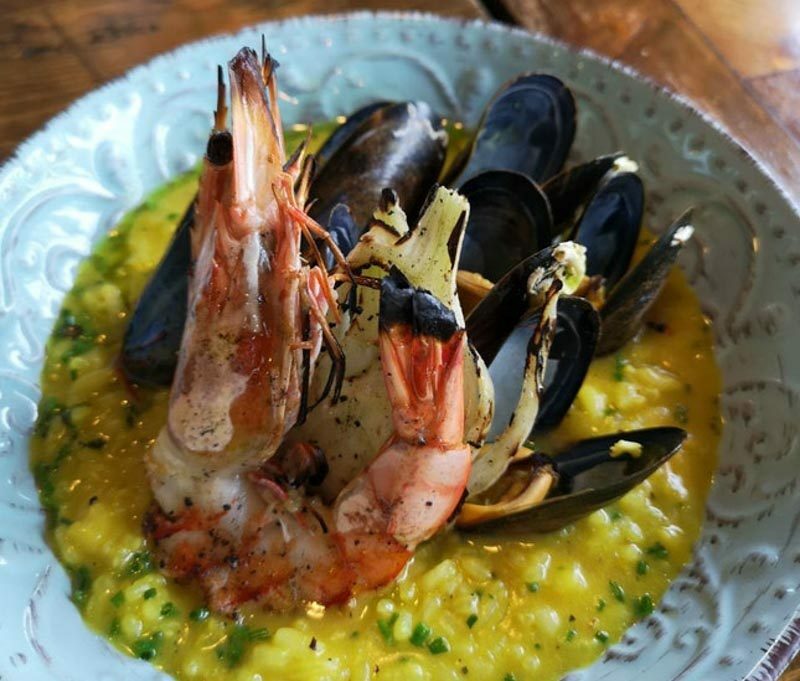 The risotto is infused with saffron and white wine and served with a plump prawn, charred artichokes and mussels. The seabass is charred for a beautiful smoky flavour and topped with a lemon caper sauce. 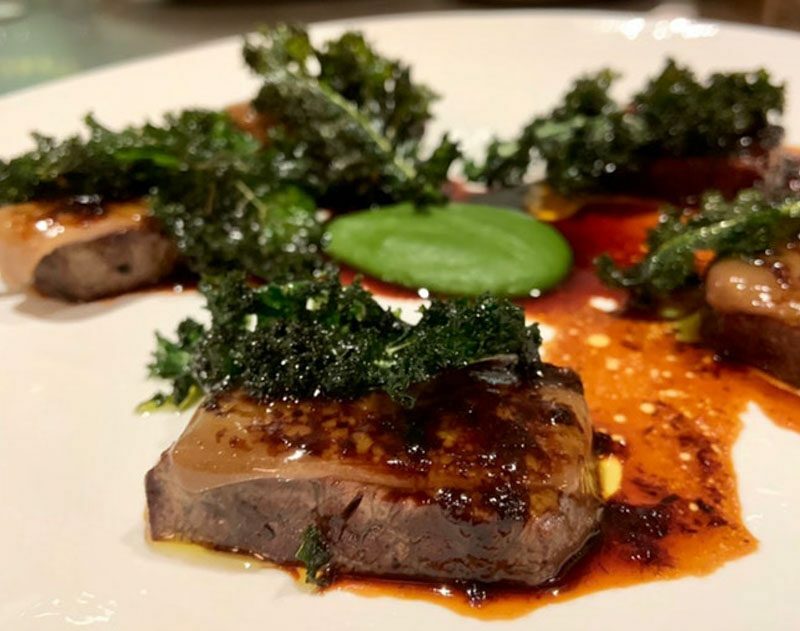 The 1-for-1 deal means potentially saving up to S$28 for a delicious main course at this rustic restaurant. Aura spans two floors of the iconic National Gallery Singapore and it houses a stellar 200-seater Sky Lounge, where you can view stunning views of the Marina Bay skyline. You can expect world-class Italian cuisine in this classy and elegant 90-seater Italian restaurant. Opened by Michelin star chef-restaurateur Beppe de Vito, Aura’s inspiration comes from Italy’s homely recipes and generous flavours. Its impressive menu showcases a wide variety of pasta, antipasto, and wholesome mains from both land and sea. Enjoy 1-for-1 deals off its a la carte menu (excluding pasta) and save up to S$58 when choosing between delectable mains such as Grass Fed Beef Tenderloin, Foie Gras, Kale and Truffle Jus (S$58) or Veal Chop Milanese, Pickled Chanterelles, Pearl Onions and Vincotto (S$58). Looking to wind down after a long day at work with some finger-licking good street food and a boozy cocktail? 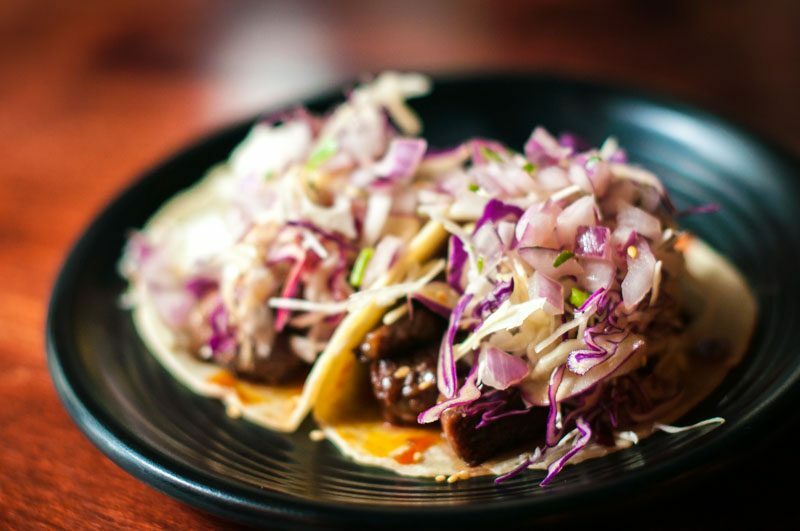 Vatos Urban Tacos combines authentic home-cooked Korean food with Mexican street food to create unique twists on tacos and burritos, such as Kimchi Carnitas Fries, Galbi Tacos, and Spicy Chicken Quesadillas. You’ll get to enjoy up to S$35 off with its 1-for-1 deals, which apply to Tacos or Burritos & Drink. For example, pair a Create Your Own Burrito (Fajita Classic) (S$16) with any Vatos’ Rita (S$30), a combination between a frozen margarita and beer, and save up to S$46 for your 1-for-1 deal. With three powerhouses under its belt — L’Entrecôte The Steak & Fries Bistro, Sabio Tapas Bar and &Made Burger Bistro, Glasshouse by DHM will leave you spoilt for choice. Pick between dry-aged beef burgers topped with caramelised onions and stringy melted cheese, or its fork-tender Iberico pork cheek pasta, and served with tangy Thai chilli and fresh cilantro. It has a special menu for its 1-for-1 Burpple Beyond promotion that lists 15 main dishes. 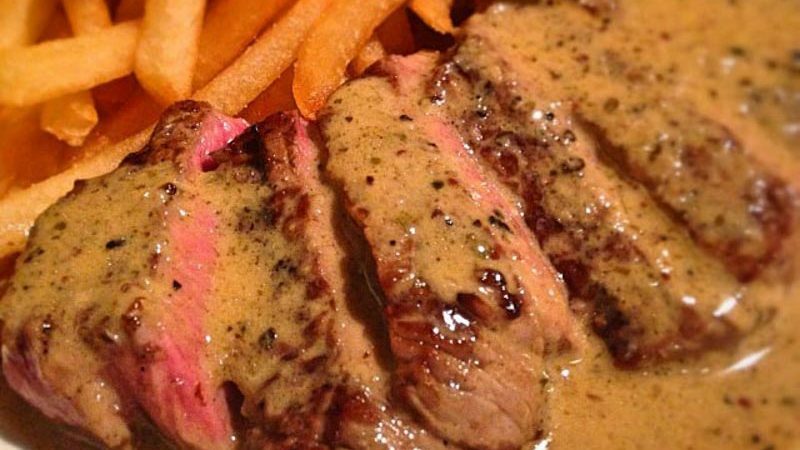 The most value-for-money dish is definitely the Trimmed Entrecôte Steak (S$34.50), the famous mouthwatering L’Entrecôte steak. This is served to your preferred doneness with unlimited crispy golden fries and green walnut salad. Not only does Forlino have a spectacular view overlooking Fullerton Bay, but its menu also showcases classic and contemporary Italian fine-dining cuisine and is supplemented by a world-class wine list that’s bound to give you an unforgettable dining experience. Its dishes certainly don’t come cheap, but it’s easy to see why. 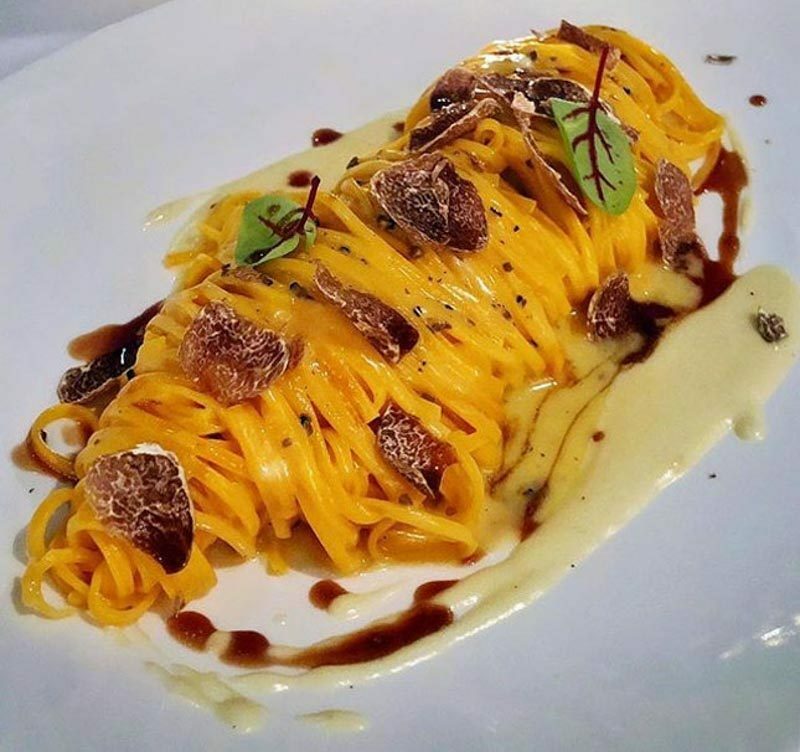 Tagliolini Caviale e Merluzzo (S$48) features homemade tagliolini, “Kaluga Queen” caviar, salmon roe and smoked black cod sauce, while if you’re a meat lover, try its Biancostato di Manzo (S$58), which is beef short ribs that have been slow-braised for 48 hours and served with shallot fricassee, Sichuan pepper and polenta sbrisolona. With Burpple Beyond’s 1-for-1 deals on any of its main dishes, which covers pasta, rice, seafood and meat dishes, you can potentially save up to S$58 for a single meal at this exquisite fine-dining restaurant. Wind down from a hectic workday with a tipple or two at Jekyll & Hyde, an innovative bar that pairs unusual and unique flavours and ingredients together to create cocktails you won’t find anywhere else. Though you can request for your own bespoke cocktails at the bar, the 1-for-1 Burpple Beyond promotion only extends to its beer, wine, signature cocktails and classic cocktails. 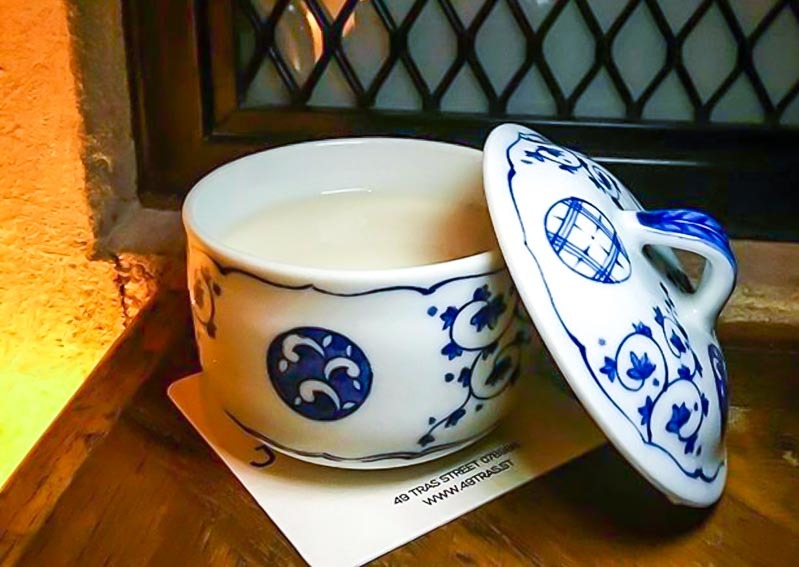 Our pick for this exquisite bar would definitely have to be Mr. Bean (S$22), a vodka-based cocktail inspired by Lao Ban Beancurd that consists of kaya, soybean curd, Frangelico, butterscotch liquor and vodka. Other unconventional creations include Kyoishii (S$22), a tart and floral cocktail that is a scrumptious combination of gin, lime juice, Kyoho grape liquor, sloe gin and egg white. The one thing I absolutely miss from Japan is the absolutely delicious tendons. White fluffy and sweet Japanese rice piled to the brim with crisp and fresh tendon, with a glorious dusting of chilli powder, sweet soy sauce and sesame seeds… Mmm. 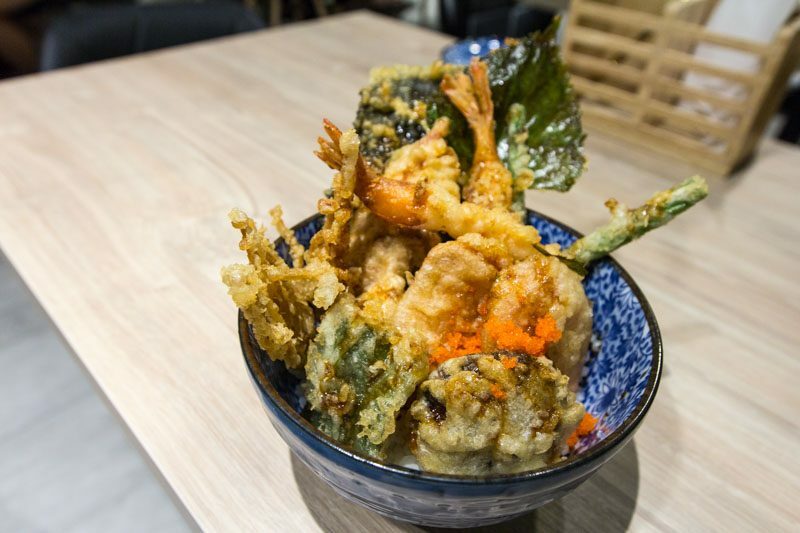 Kogane Yama does a fabulous job serving up authentic tendons that give you a wide variety of deep-fried ingredients to pick from, such as prawn, chicken, long beans, carrots, sweet potatoes and more. It also dishes out incredibly generous portions for affordable prices that will leave you satisfied and completely full. With Burrple Beyond, enjoy 1-for-1 deals on any of its tendon bowls and donburis. That means you could order a Chirashi Don (S$18.80), with thick cubes of salmon, swordfish and tuna, topped off with salmon ikura and tamagoyaki and you’ll get a second bowl of Mixed Tendon Bowl (S$15.80) for free. What a steal! 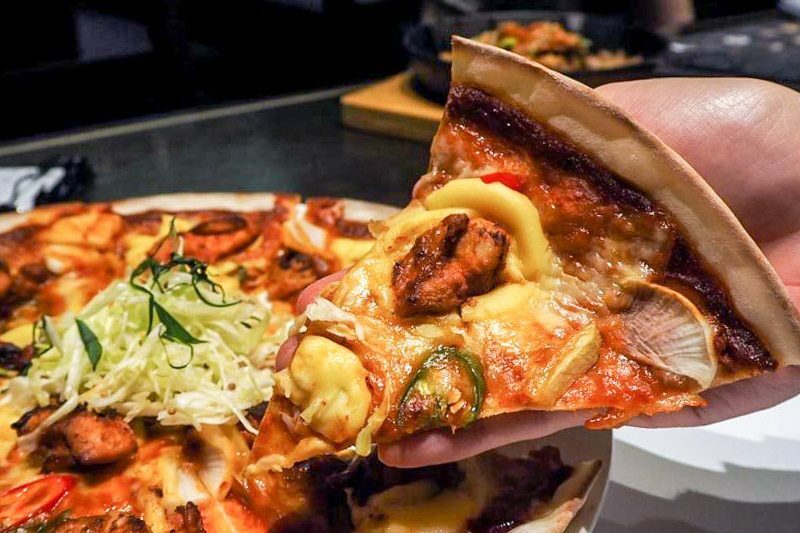 Mad For Garlic is the first garlic-themed Italian restaurant that originated in Korea, offering a variety of mouthwatering dishes that incorporate garlic in every possible way. From fried smashed garlic with beef steak cubes stewed in a rich ragu fettuccine, to an Italian gorgonzola cheese pizza with fried garlic chops, there’s something for everyone at this unique restaurant. With Burpple Beyond, you can snag 1-for-1 deals for any of its pizza, pasta, or rice & risotto dishes. For example, purchase a Crab Sizzling Rice (S$25) and enjoy a Grilled Chicken & Mushroom Risotto (S$25) for free. That means you could potentially save S$25 or more, depending on what you order! I can’t say no to a good deal, especially if it means saving up to S$100 or more on a single meal for unlimited cuts of mouthwatering wagyu beef. With over 400 partner restaurants, bars and cafes with Burpple Beyond, you could go to one every day and still have more to pick from. Let the feasting begin!